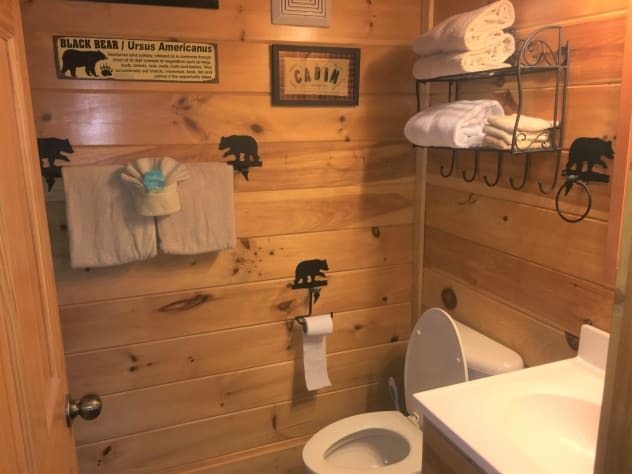 Happy Trails II is the third cabin in the Happy Trails Log Cabin family all located together in the Bear Creek Crossing Resort. 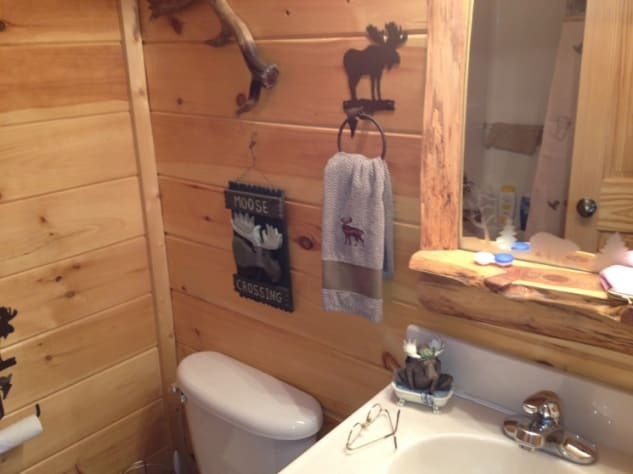 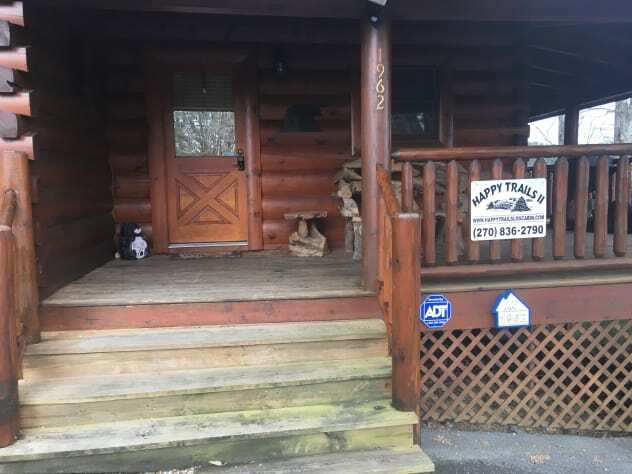 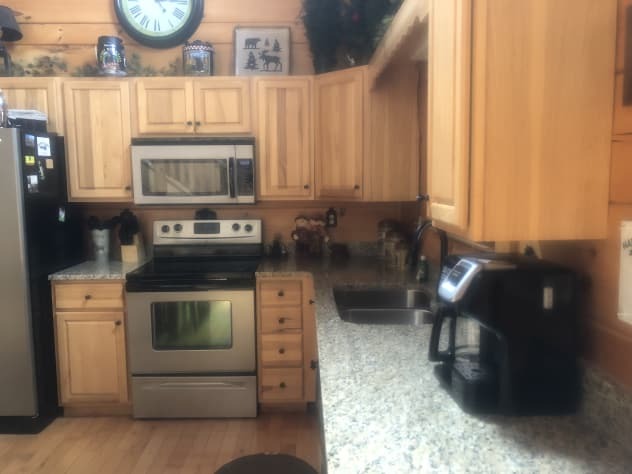 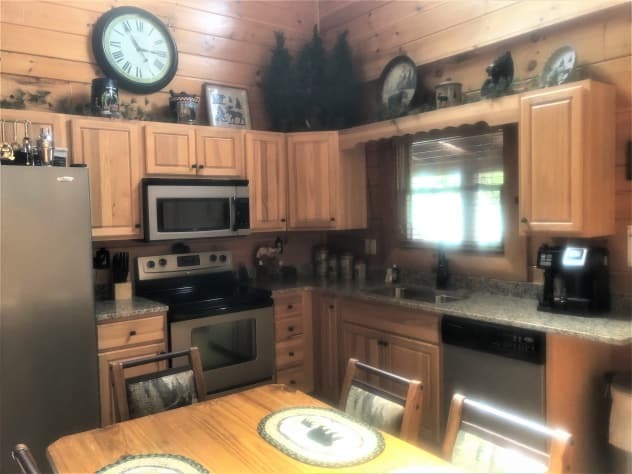 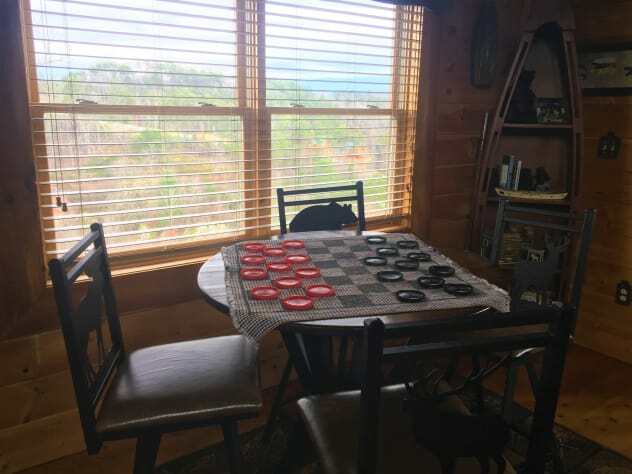 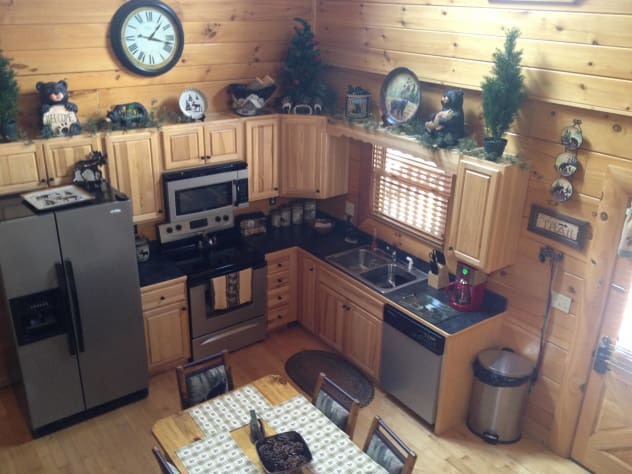 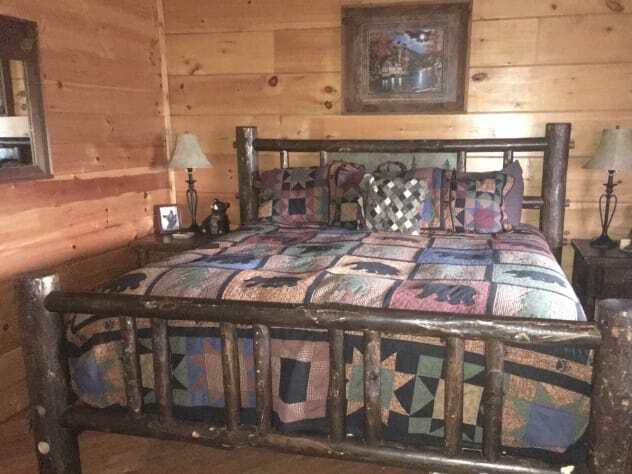 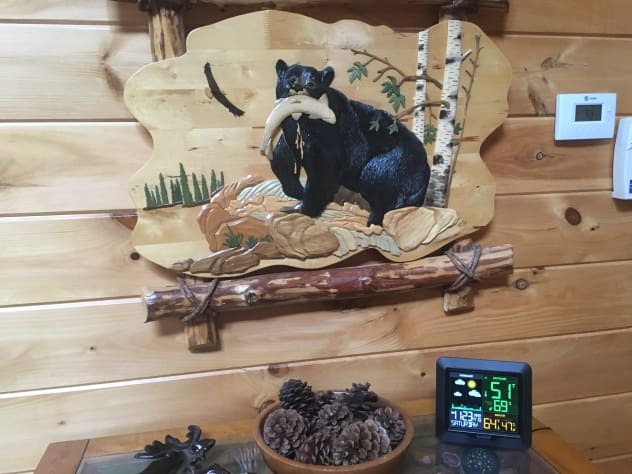 This 2 and 1/2 bath, true log cabin, is professionally decorated to highlight the true image of the Smoky Mountains. 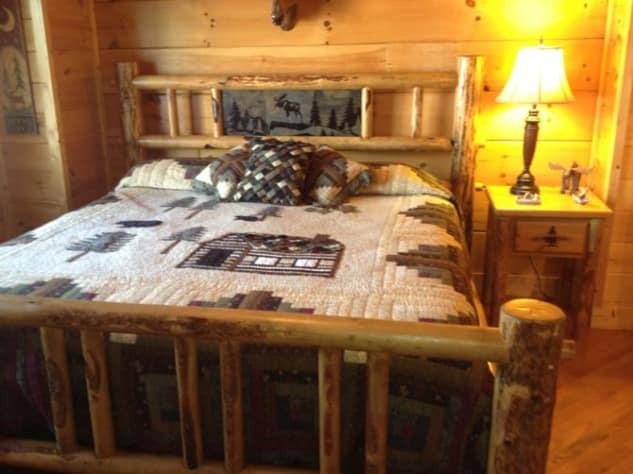 Upscale log bedroom furniture, Donna Sharp bedding, plasma internet enabled TV complete with Netflix and Pandora. 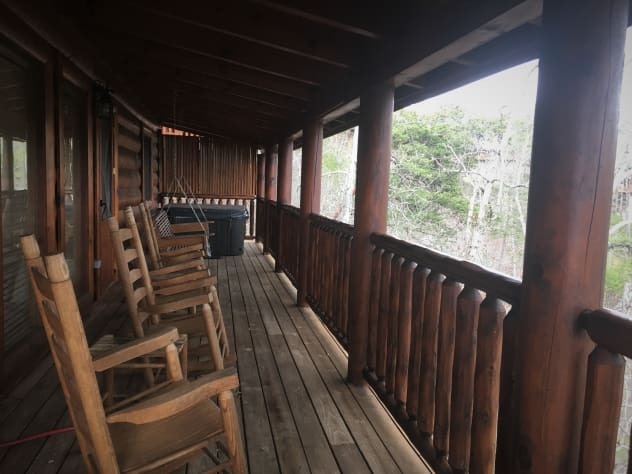 The views are the best in the resort and we have provided multiple seating areas on the wrap around porch in order to take full advantage. 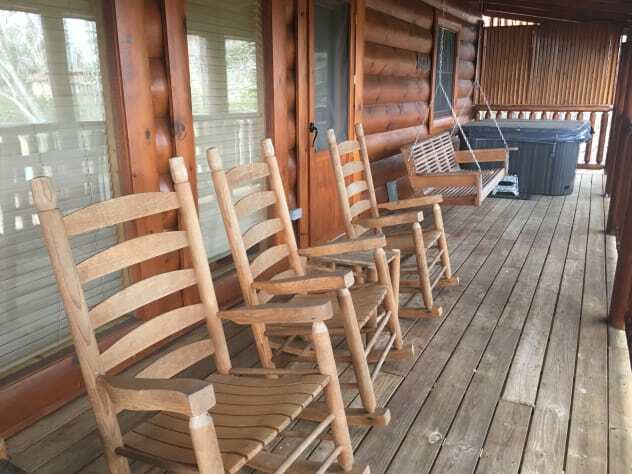 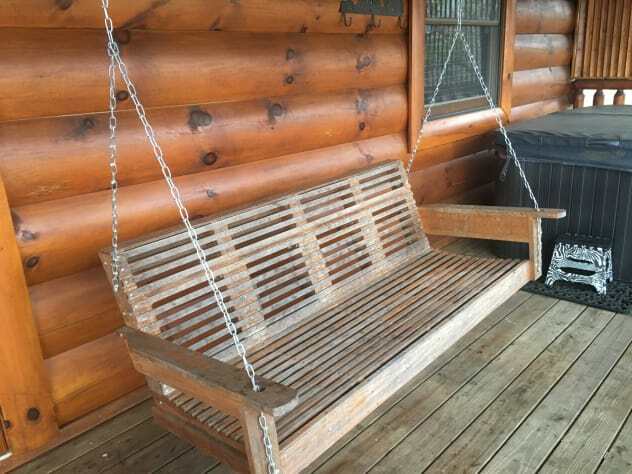 The porch has 4 rocking chairs with tables, porch swing set, rustic picnic table, rustic bench and hot tub. 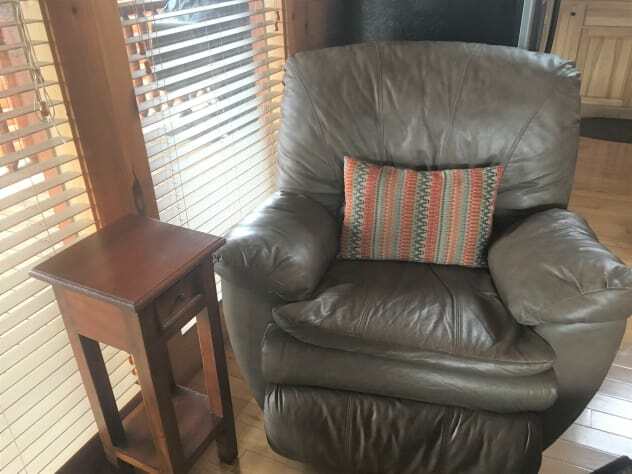 The living room is as comfortable as your own home complete with 4 Leather recliners (2 in the couch and 2 separate chairs). 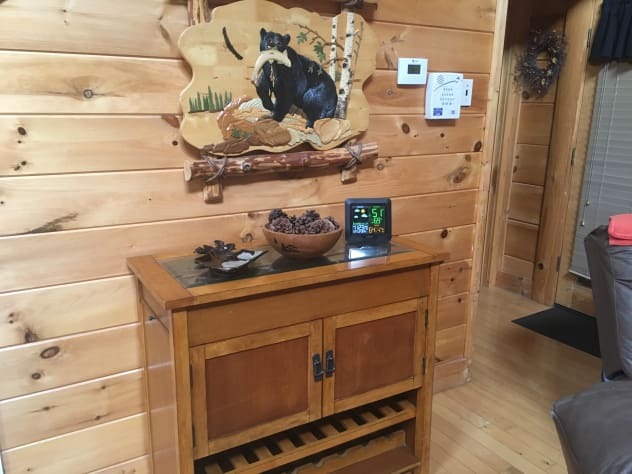 The end table and dry bar are upscale glass tops with carved mountain trout scenes inside! 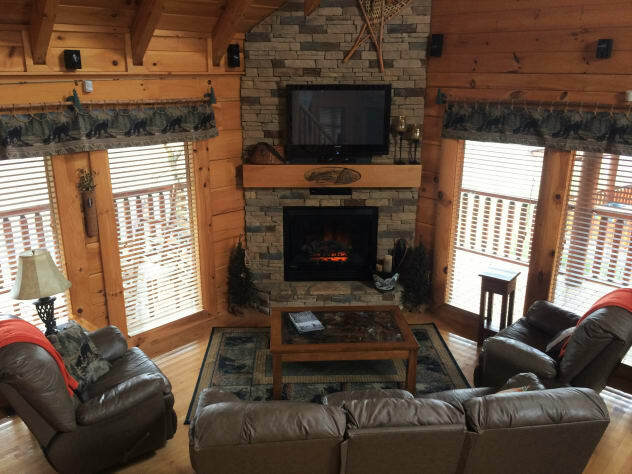 The focal point in the living room is our custom hand carved mantle on the floor to ceiling stack stone fireplace. 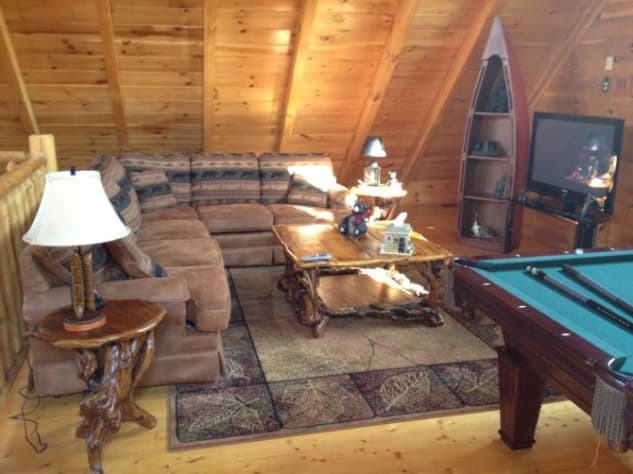 The loft is the ultimate in relaxation! 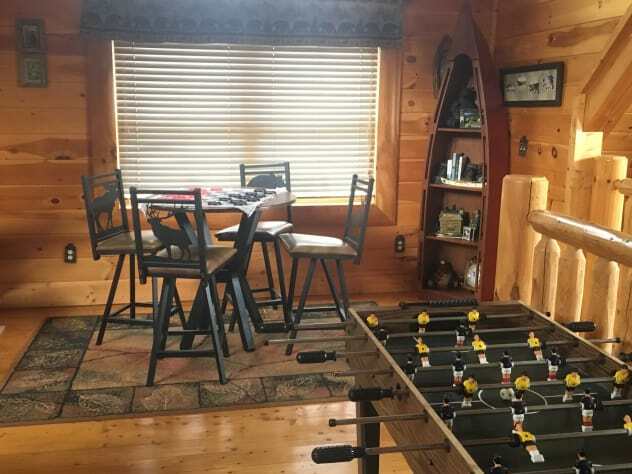 The pub table has additional dining seating for 4 where you can also play a game of cards. 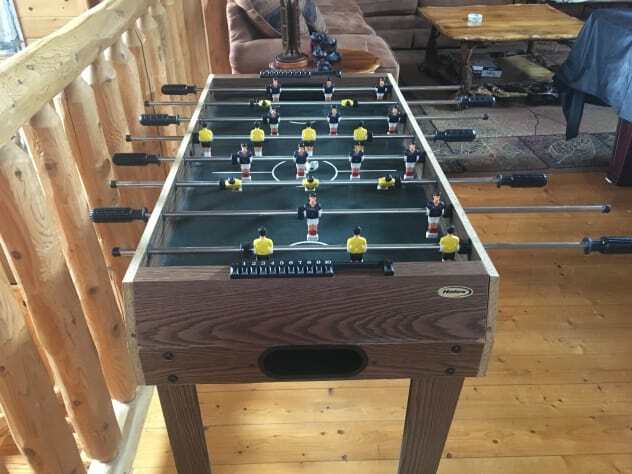 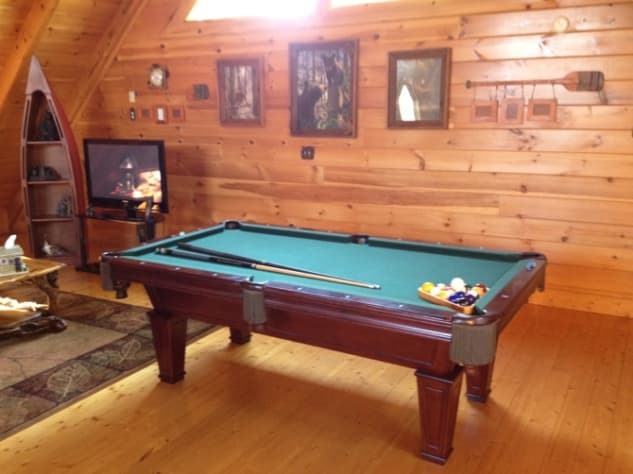 A pool table and sectional sofa will complete your loft entertainment. 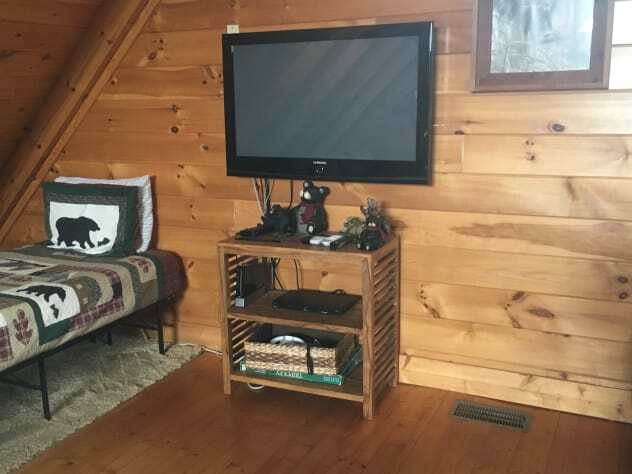 Play Wii, watch HD Direct TV , or catch a Netflix movie. 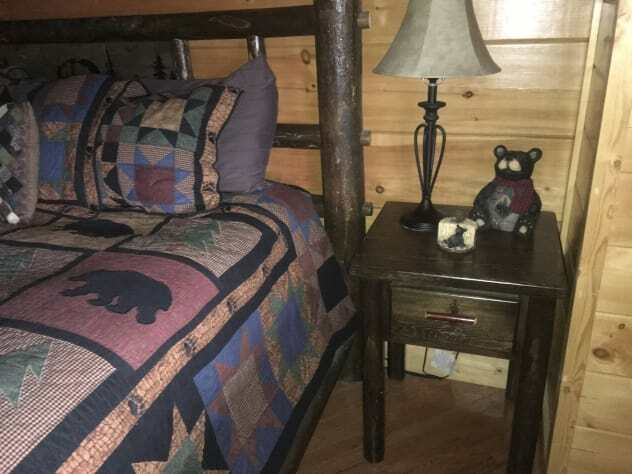 Additional sleeping is available in the loft as well with 3 Memory Foam twin beds and a queen sleeper sofa. 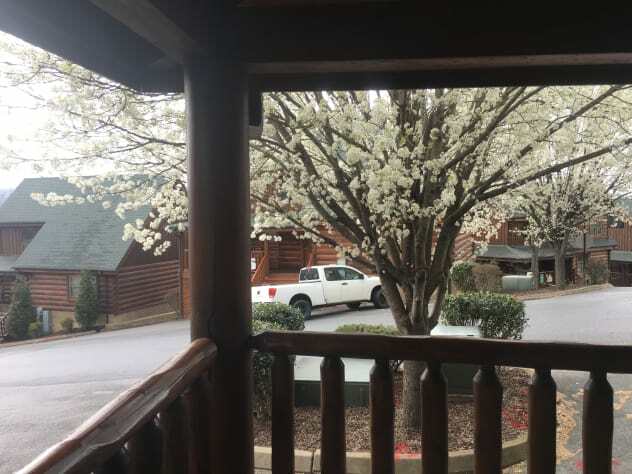 The resort offers both indoor and outdoor pool, free mini golf, and fitness center. 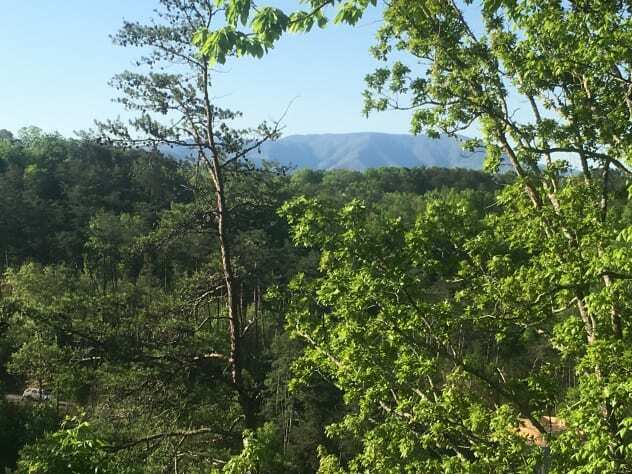 We are conveniently located just minutes from downtown Pigeon Forge.